Anime never ceases to amaze us with cool and futuristic vehicles ranging from trains, motorcars, motorbikes and even mecha which come in a variety of forms. 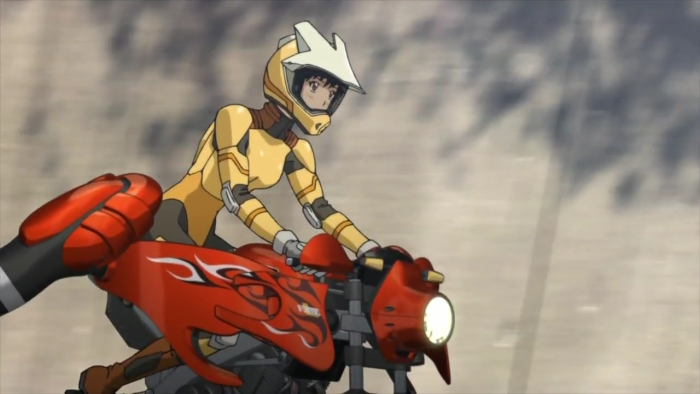 But let's delve into the world of motorbikes in anime, and see what makes these mechanical wonders so damn special. It's no secret that Japan is a world leader in the production of motor cars, and it's not surprising that this leadership also extends to motorbikes. Companies such as Suzuki, Honda and Yamaha manufacture some of the finest 2-wheel roadsters on the planet. 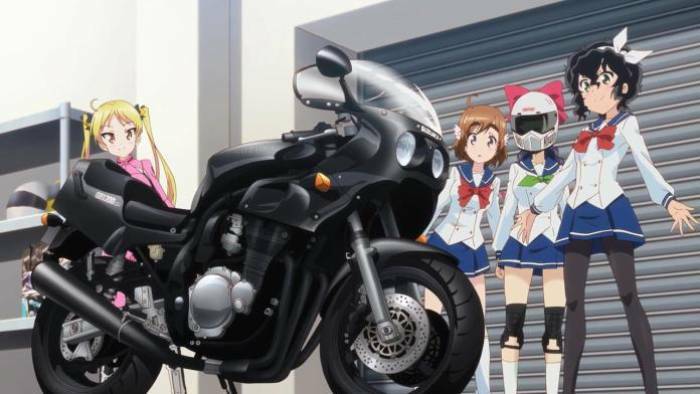 So it's very interesting to see how motorbikes are portrayed in anime. FLCL is one of the slickest and most outlandish anime ever made. Therefore, it should come as no surprise that Haruko Haruhara would ride around in a yellow 1965 Vespa SS 180 scooter; the epitome of style! I really can't think of a more fitting bike for Haruko to embark on her zany adventures. 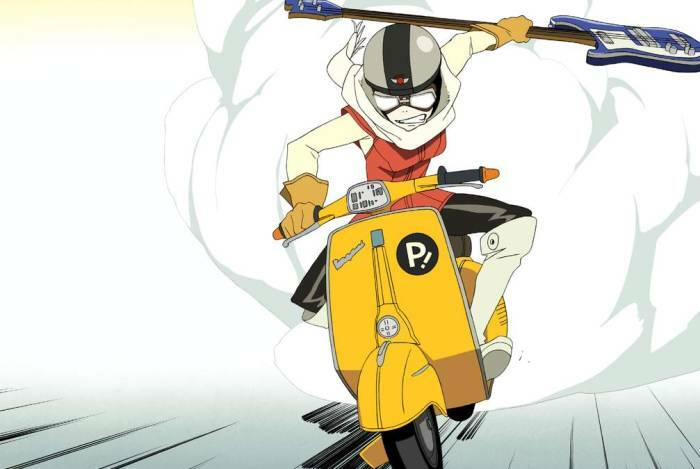 As this is an anime bike that just oozes retro-cool which complements FLCL’s rock sensibility, and Haruko’s devil-may-care attitude. Hane Sakura isn't going to sit around, and just watch other students ride to school and have all the fun. She decides to join her school's motorbike club, and eventually get her license and own bike. This opens up an entirely new world to her, and one in which she and her friends ogle over the latest motorbikes...not your typical anime girl hobby. 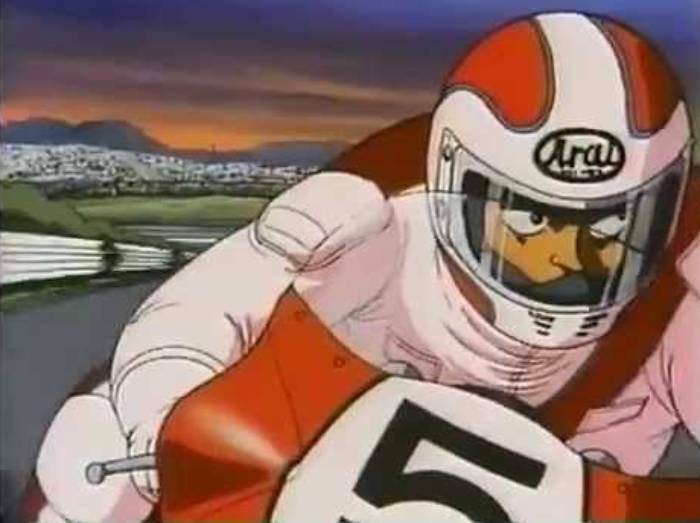 If you want to check out some of the most realistic depictions of motorbikes in anime, then there's no better series than Bari Bari Densetsu. And that's not surprising considering that the original creator of this series is Shuuichi Shigeno of Initial D fame. Which means high-speed thrills and intense road rivalries are guaranteed! 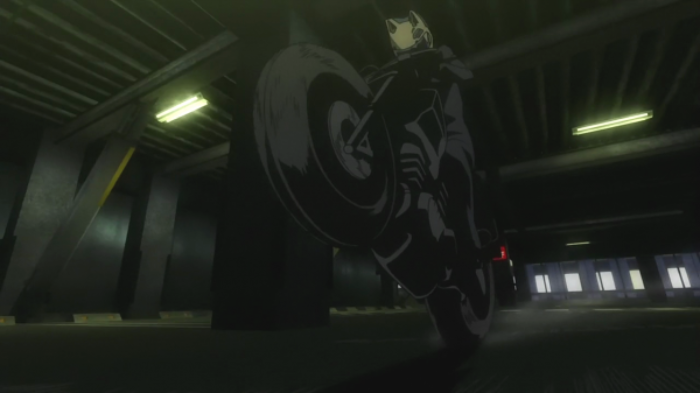 One thing is certain; motorbikes in anime tend to be unconventional. And there is no better example than Shougo Yahagi's Garland which looks totally rad, even though it does have an angular 80's aesthetic. But what makes the Garland so special is that it's a military grade bike which is capable of transforming into a badass mecha. Will Shogo be able to use the Garland to avenge the death of his close friend, and take on the military which is trying to retrieve his bike? 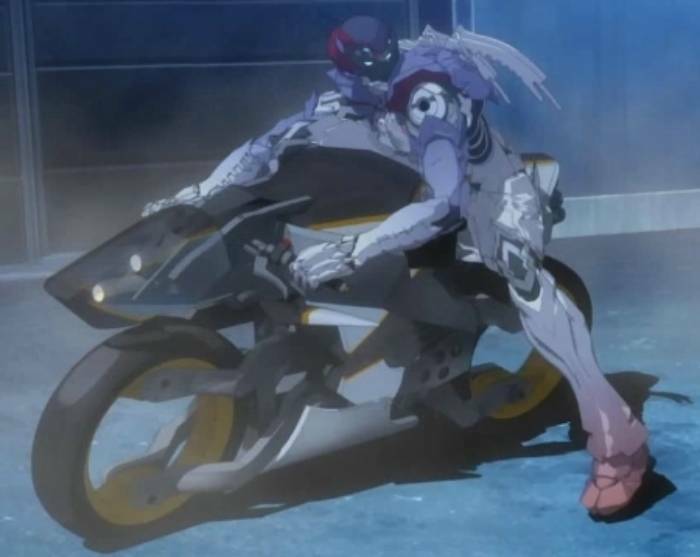 The year 2025 isn't too far away, but will we be fortunate enough to ride cool transforming robot-motorbikes such as in the RideBack anime? Well, we can only hope so given the technological advances we're witnessing. Rideback seems to be a natural evolution of the Garland from Megazone 23. But this time we don't have a hot-headed rider, instead, we have a female lead that uses her ballet skills to handle the Rideback. 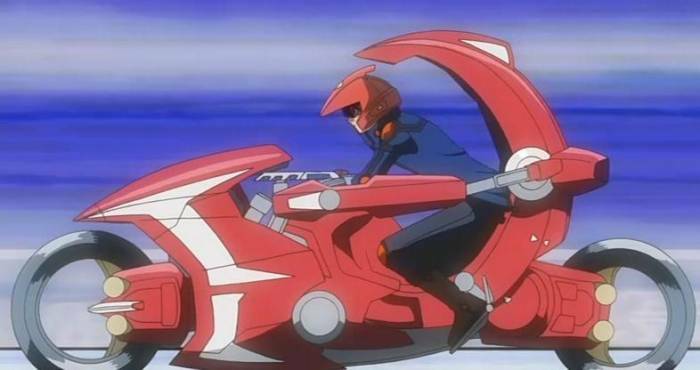 And as unorthodox as this may be, this helps to make Rideback one of the more intriguing motorbikes in anime. The Knight Sabers sure have their work cut out for them, as they deal with the terrorist Boomers who wreak havoc around MegaTokyo. But they're smart enough to make use of some mighty fine technology, and some of the sexiest looking motorbikes in anime. Priss Asagiri loves her motorbikes; she even wears motorbike gear as her daily attire. However, it's her Motoslave which steals the show. This bike can transform into a mecha-suit that comes equipped with a machine gun - with it, she`s ready to give the Boomers a run for their money. There are many elements in Akira which made a significant impact on anime and sci-fi fans alike. 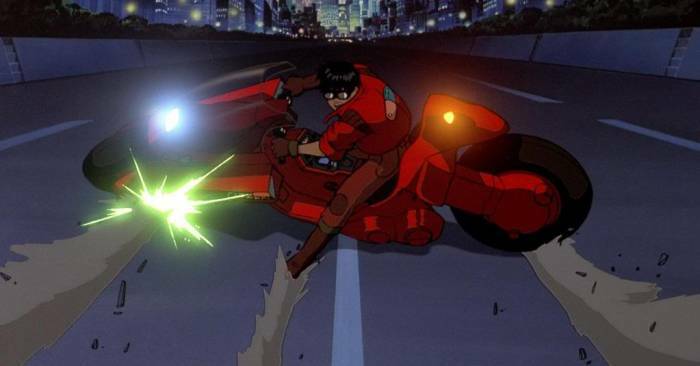 One facet which captured the imagination of gearheads is Kaneda's stunning red motorbike. It's certainly a looker and doesn't resemble any modern bike to date, mainly due to its futuristic design. 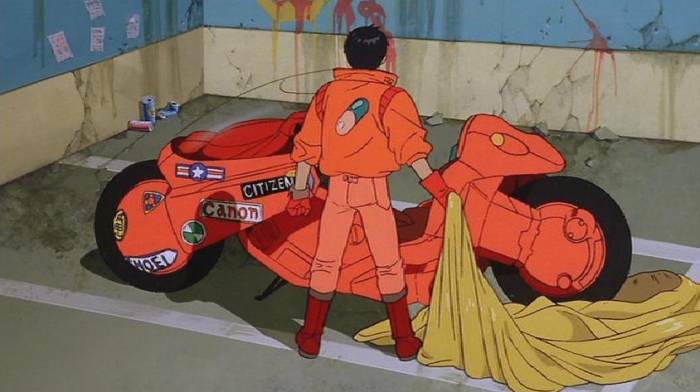 We don't know what make Kaneda's bike is, but maybe we could make an informed guess considering the various branding appearing all over it. There's a badge which looks similar to a BMW logo on the left side of the motorbike, and there are also Arai, Citizen and Shoei logos plastered all over it. 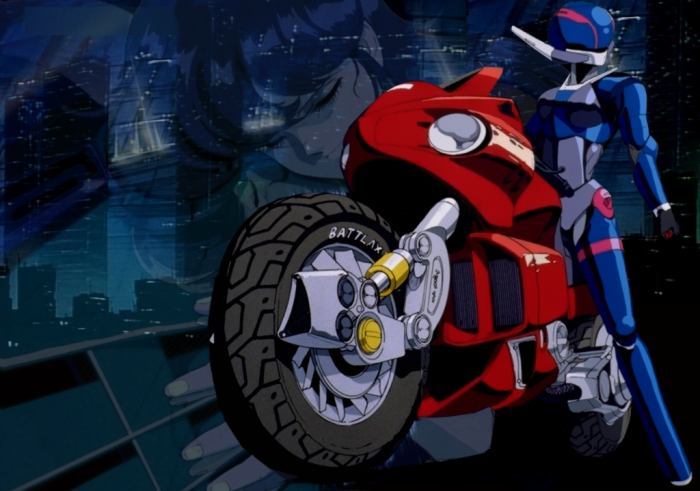 Nevertheless, this is definitely one of the most memorable motorbikes in anime. 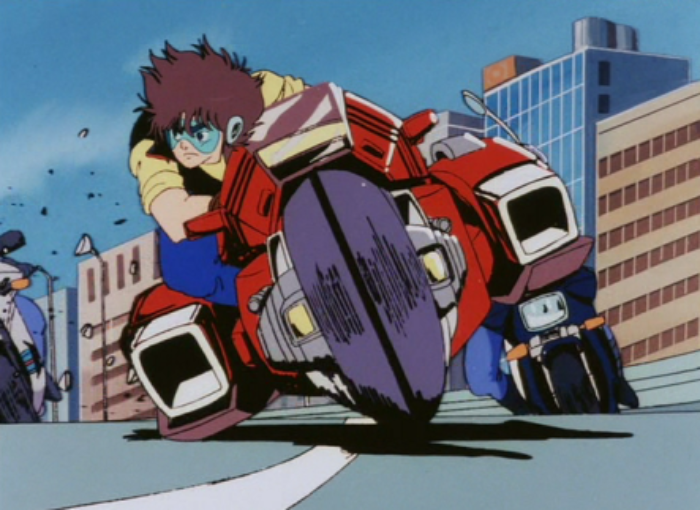 Yuusei Fudou’s Dual Runner, also known as the Yuusei Go takes some design cues from Kaneda’s bike, yet manages to look even more futuristic. Quite surprising considering that, it’s built from scrap parts from older dual runners. The Yusei Go is built and fine-tuned for partaking in Turbo Duels, and is more than capable of holding its own against motorbikes in any other anime. High-speed shenanigans just can’t get any more insane! Biomechanical creatures known as Demoniacs are striking terror in Germany, as they attack the citizenry. The Demoniacs emerge from corpses, and are capable of merging with most forms of technology, which includes motorbikes and are greatly enhanced because of this fusion. To combat this scourge, one rider will emerge from the humans known as the Blassreiter. Gerd Frentzen looks totally awesome in his Demoniac form, and so does his bike! The neon-lit streets of Ikebukuro can be quite mysterious at times, especially when the legendary Black Rider makes an appearance. What makes the Black Rider interesting is that she's a dullahan, which is a headless rider as described in Irish mythological lore. And that's the reason why she's roaming the streets of Ikebukuro; searching for her stolen head. Spooky! Anime: Akira, FLCL, Initial D Battle Stage, Bubblegum Crisis, Megazone 23, Yu☆Gi☆Oh! 5D's, RideBack, Durarara! !, Bari Bari Densetsu (1987), Bakuon! !